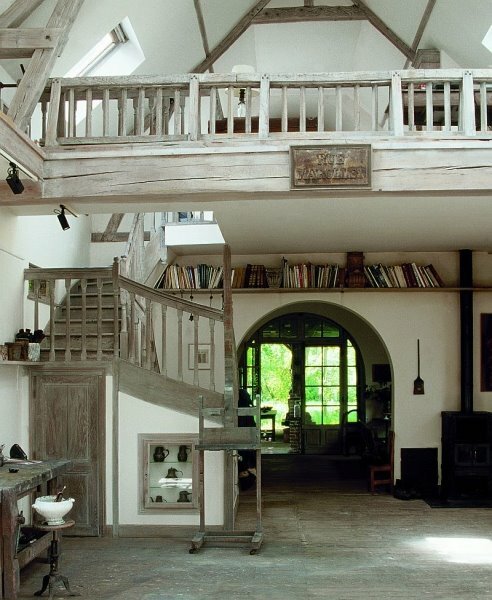 This French country cottage highlights the beauty of disarray. 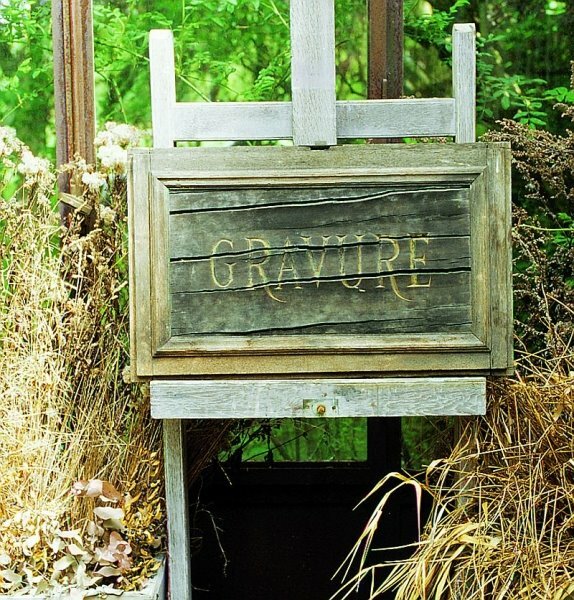 It has a wild characteristic, as if the owner has left it to its own devices. 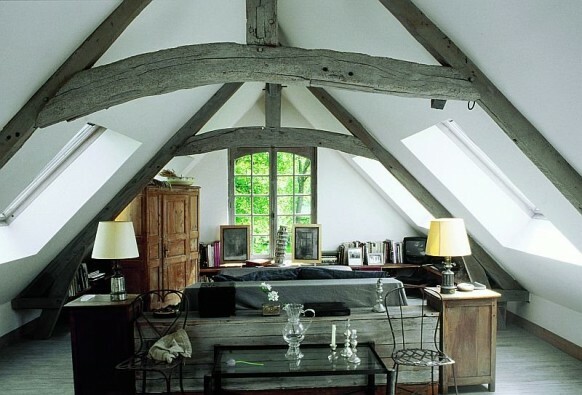 Well-worn ash colored wood, fills the home, giving it plenty of personality. 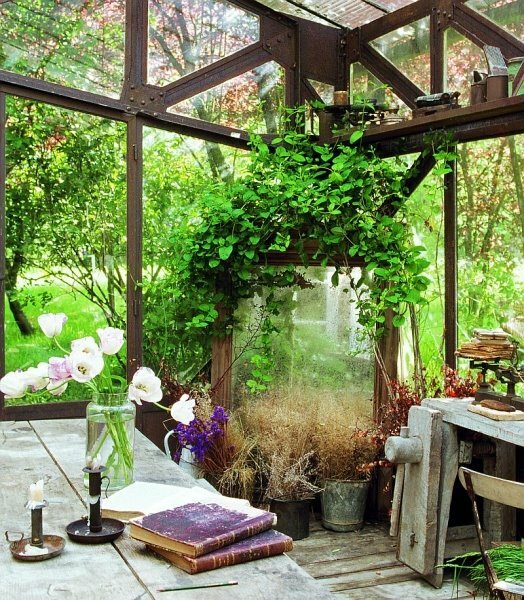 It has beautiful arches, easy-going greenery, and plenty of space. 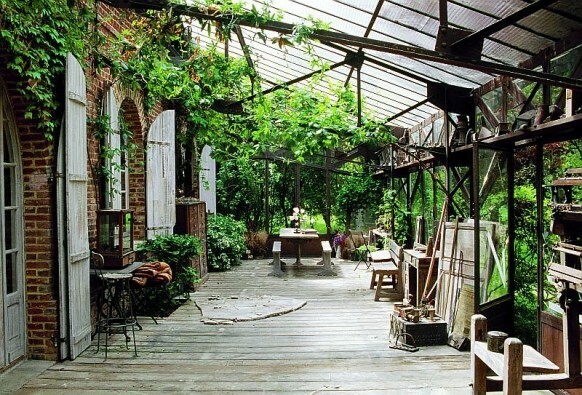 The outside of this beautiful plant-drenched home, has an enclosed patio. 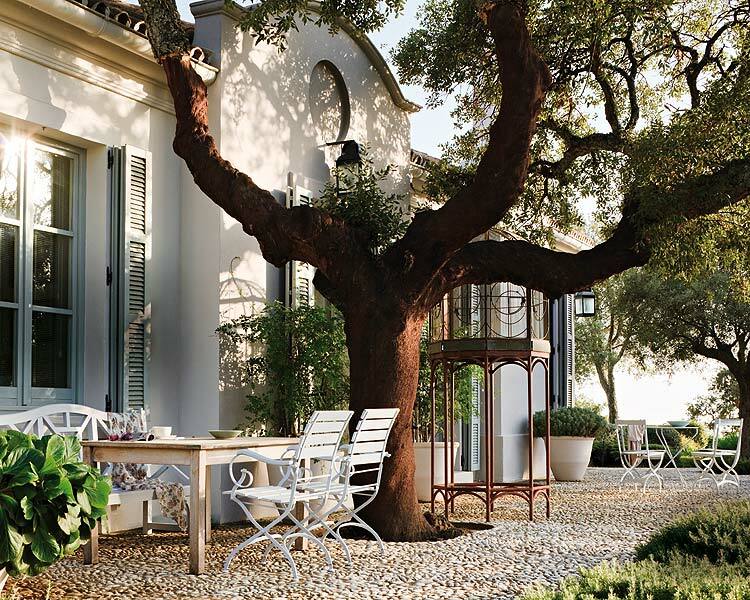 Gorgeous iron surrounds the patio, while trees fill the windows with green. Dark brown furniture and natural wood pieces line the sides of the patio in a haphazard fashion. At the very end of the patio, a lovely table, and two bench seats are placed. On top of the table, a clear vase with delicate white flowers sits, bringing a little order, to the beautiful chaos. 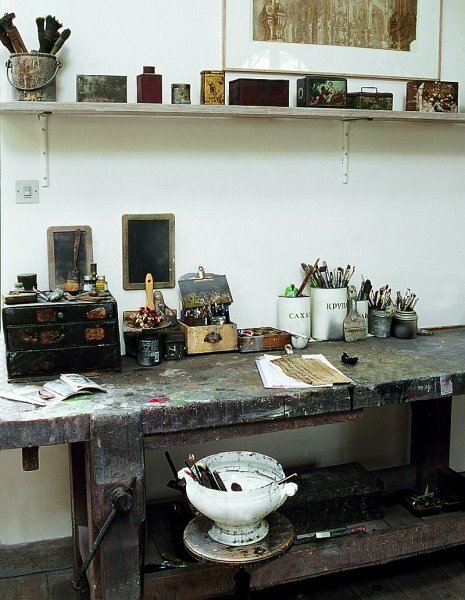 The art studio invites creation. There is no daintiness, in this space. It is a place to create, destroy, and build. The thick wood table is covered with splatters of paint, and the white vintage soup bowl, is wonderfully decorative and functional. 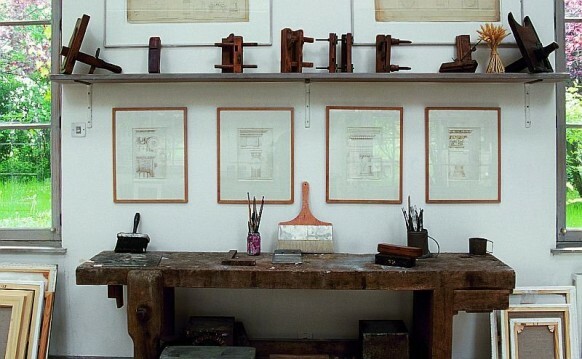 In another area, drawings are aligned in a row, on the wall, once again bringing order. The handsome dark wood table sits under the drawings, with frames stacked against the wall on each side. In the entrance area of this French country cottage, the ash wood and the arched entryway, take center stage. 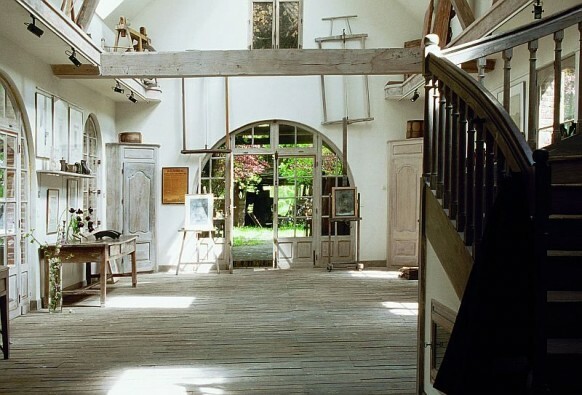 Easels sit and hang on both sides of the door, telling a story as visitors enter the spacious room. Near the stairs, shelving and books line the uppermost part of the wall, adding a tiny bit of color to the room. 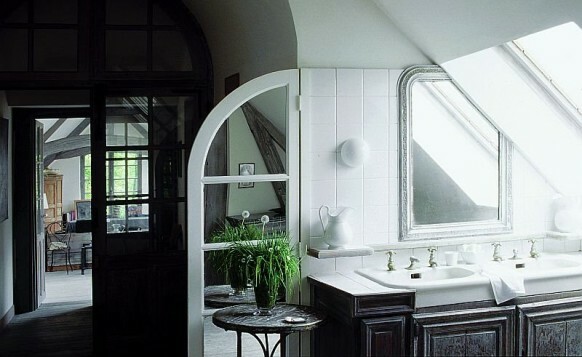 The bathroom is a slight detour in this French country cottage. The rich dark wood and bright white sinks, insinuate a little bit more care. But then, all of a sudden, the vintage fixtures and the different, but perfect mirror placement, comes into view, and the entire bathroom melts into the rest of the home. The wonderful thing about this home is that it’s pristine and well-designed, in a completely different way. The suggestion of chaos is part of the design, and it’s beautifully done. It is especially luscious, when the elements of order come into view, providing a partner for the delicate dance this design performs.